When Microsoft released the New Xbox Experience, avatar creation was the talk of the town. Users from across the world were creating, modifying, and dressing up their visual representations of themselves and displaying them for all to see. It seems Microsoft has no desire to draw their attention away from these little guys (and gals) anytime soon. The UK Xbox website has recently added a section to the site titled Free Your Avatar. 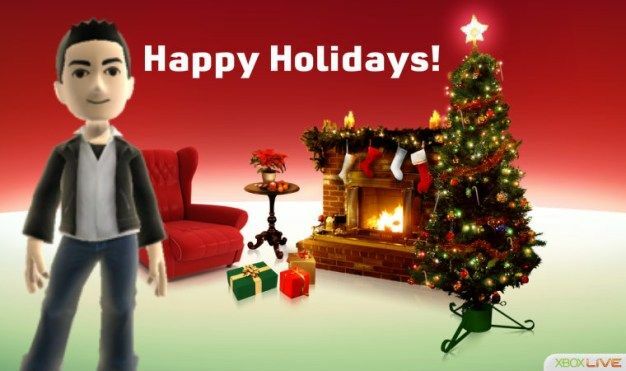 The purpose of this site is to allow Xbox 360 users who have created an avatar to import their graphical representation of themselves, add a background along with some text, and share with the world in any way they so desire. Even though this site exists on the UK Xbox website, US users will be happy to know that they can create pictures with their avatars in them without any issues. Whether it be through holiday cards or placing your mug up on Facebook, the site seems to have you covered. Along with this nifty new feature, Xbox is offering a contest with a lot of prizes up for grabs. To participate, users will have to upload the image they create to Facebook, MySpace, or BeBo and describe why/how it represents them. Winners could receive a TV or an Xbox 360 Elite. As far as we know, this contest is only available to UK residents (since it is up on their site) but as Xbox360Fanboy pointed out, the official rules make no mention of country restrictions.